Businesses are increasingly recognizing their corporate social responsibility to ensure their goods are produced in environments free from abuse and illegal conditions, free from child labor, and free from slavery. There is a growing trend to provide consumers with more information to enable them to choose products they can be certain were made without exploitation. Many products we buy begin as raw materials from the earth, processed, and passed through many sets of hands before it reaches its final form. The businesses handling these materials, parts, and products at each step form a “supply chain”. Outside of a voluntary statement from the manufacturer, the public, and even possibly the businesses further down the supply chain, often have no access to records of where the materials that go into products we buy everyday were harvested and processed. While import and export regulations often require the country of manufacture to be printed on a product, there are few requirements that a business disclose earlier sources on the supply chain, or even that they become aware of this information themselves. New supply laws are beginning to address this issue. In an effort to document the state of current legislation regarding supply chains, JVI recently sponsored a research project carried out by students at Georgetown University Law Center. The full report is available for download on our website here. As a part of JVI’s work, we regularly encounter child laborers, as well as underpaid and unfairly treated adults who were trafficked into manufacturing and agricultural settings. 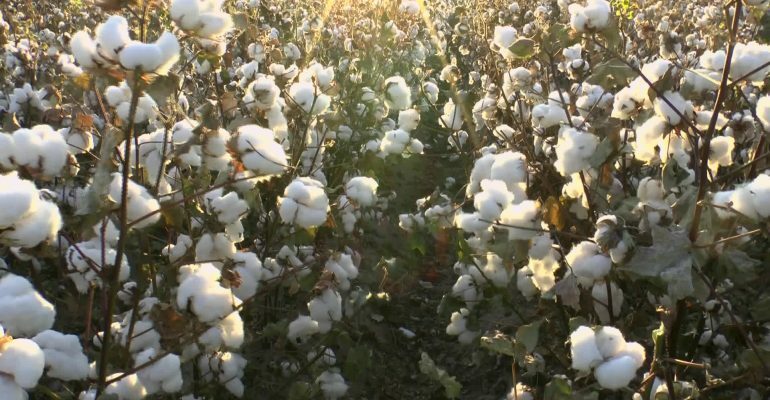 It’s a terrible thought that a child may have been forced to sew the backpack hanging in our own houses, or that families held in modern day slavery may have picked the cotton that went on to become the clothes we are wearing right now. But how can we know? The supply chain for a given product may be comprised of businesses and sources with varying characteristics and values from many different areas of the world. For example, a backpack with a “made in India” label could have simply been pieced and sewn together in India, having begun as part of a cotton crop in Uzbekistan, which had to be refined and then woven into fabric in Bangladesh, with zippers made out of metal that was mined in Indonesia and molded in Japan. Around the world, new laws to address this concern are being proposed and put into action. JVI’s research project in partnership with Georgetown Law and International Development Society documents the legislation that is in place to promote supply chain transparency in five countries: The UK, The US/California, Australia, Hong Kong, and France. In addition, the report contains a description of general challenges and recommendations for future work. To view the full report, with specific recommendations for each country, click here. Leading the way, The UK enacted the landmark Modern Slavery Act 2015. The MSA 2015 is the first law of its kind in Europe and one of the first in the world. The Act requires large companies to report on steps they have taken to safeguard supply chains from modern slavery. Failure to comply can result in fines and legal penalties. In the United States, the only cross-sector supply chain legislation law currently in effect is The California Transparency in Supply Chains Act. This Act requires large companies doing business in California to disclose what steps they are taking to locate, prevent, and discontinue human trafficking and slavery in their supply chain. Note that the Act does not require any affirmative duties on the part of the company, other than providing a statement of what they done. A statement that they have done nothing would bring a company into compliance with the law. In order for this law to have an impact, consumers must be active in searching for and responding to this information from companies where they are customers. If a company puts the statement on their website that they have nothing, and no one objects, they have little motivation to make greater efforts. The next time you are shopping online, look up the company’s supply chain disclosure, and make your voice heard if they haven’t made a significant effort. As of this post, federal supply chain legislation is very limited and applies only to a few specialized industries. Although no broad federal legislation exists, two bills, H.R. 7089, The Business Supply Chain Transparency Act on Trafficking and Slavery Act of 2018 and H.R. 6834, The Human Trafficking and IUU Fishing Act, are currently awaiting review in the House of Representatives. H.R. 7089 proposes similar regulations to the California law, requiring large companies to disclose what they are doing to prevent human trafficking and slavery in their supply chains. H.R. 6834 addresses illegal, unreported, and unregulated (IUU) fishing, responding to concerns over human trafficking, forced labor and human rights abuses common in seafood supply chains. We plan to follow these bills closely and advocate that they be passed. Check back on the blog for updates! For more information on assessing the risks in your supply chain, contact us at info@justiceventures.org.